Say good-bye to your beloved Benjamins, because the world is going cashless. 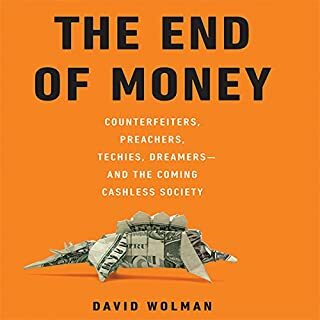 So says David Wolman, and in The End of Money, he explores the drastic implications. How is it happening? What's at stake? Why does it matter? Each chapter of this timely and fascinating audiobook focuses on a specific aspect of the coming cashlessness. All told, The End of Money offers everything there is to love about popular nonfiction, rendering a complex subject entertaining and easily approachable for a wide audience while proving the ultimate adventurousness inherent in a curiosity about the workings of the world. Would you consider the audio edition of The End of Money to be better than the print version? I listen to audio books while driving. I could never read the print version in the car. Here's how entrepreneurs find the next big thing-and make it huge. The era of easy money and easy jobs is officially over. Today, we're all entrepreneurs, and the tides of change threaten to capsize anyone who plays it safe. Taking risks is the name of the game - but how can you tell a smart bet from a stupid gamble? 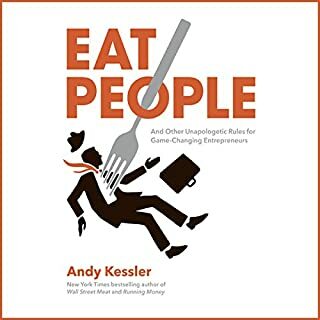 Andy Kessler offers 12 surprising and controversial rules for these radical entrepreneurs. If you could sum up Eat People in three words, what would they be? This book provided me with a lot of insights that helped me to identify business opportunities. I was able to listen to the book on my way to and from work. And I listened to it several times. I can't read while driving and I almost never read a book more than once. I listened to it in several 45 minute intervals during my daily commute. I don't think I would have processed all the information if I did it all in one sitting. 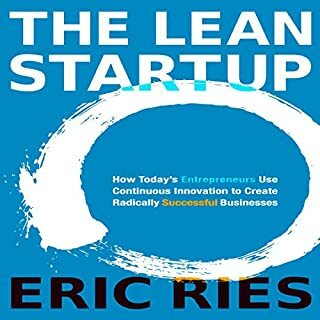 The author makes mention of different stereo types that may seem insulting to some, but it helps to get his points across.Try and listen to the point that he is making instead of taking offence to his stereo typing.This book provides some great insights that will help you to spot business opportunities and avoid pitfalls. Where does Midas Touch rank among all the audiobooks you’ve listened to so far? 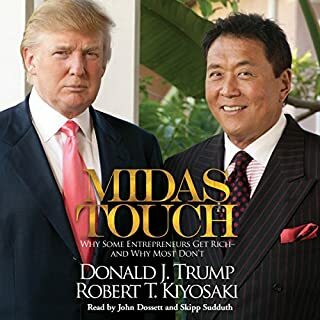 If you've read the Rich Dad books then this book offers nothing new, but the hearing Donald Trump and Robert Kiyosaki talk about their ups and downs is very motivational for a young entrepreneur. I now have Trump's acronym FOCUS (Follow One Course Until Successful) hanging above my desk and it is a constant reminder that keeps me on track throughout the day. If all you want is good entrepreneurial advice, then there are better books out there. If you want some motivation to keep you going through the hard times then this book is great. What other book might you compare Midas Touch to and why? The Rich Dad series or any Brian Tracy book offers the same advice. I was particularly inspired by Robert's stories about the mistakes he made. I have made many of the same mistakes and his success motivates me to keep trying. This is a great approach to product development. The book is well written and the ideas put forward are clearly explained with examples.